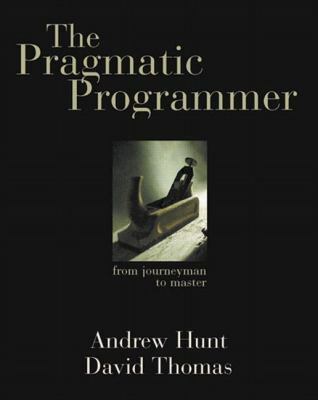 Written as a series of self-contained sections and filled with entertaining anecdotes, thoughtful examples, and interesting analogies, "The Pragmatic Programmer" illustrates the best practices and major pitfalls of many different aspects of software development. Whether you're a new coder, an experienced programmer, or a manager responsible for software projects, use these lessons daily, and you'll quickly see improvements in personal productivity, accuracy, and job satisfaction. You'll learn skills and develop habits and attitudes that form the foundation for long-term success in your career. You'll become a Pragmatic Programmer.